Chebrolu in Guntur district, Andhra Pradesh has many temples of great historical importance, including the one famous Chathurmukha Brahmalingeshwara Swamy Temple dedicated to Lord Brahma. It is one of the very few temples in India dedicated to Lord Brahma. official language spoken at this place is Telugu. 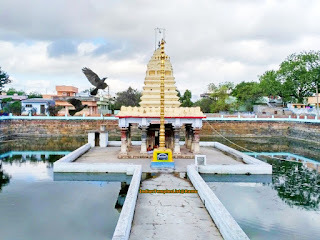 Chathurmukha Brahma Temple is a very beautiful temple present in the middle of a temple tank. Devotees need to walk on a small bridge across the waters on the temple tank and get the darshan of Chathurmukha Brahmalingeshwara Swamy. The main attraction of this temple Lord Brahma embodied on the four sides of Shiva Lingam. It is surrounded by other temples of Lord Shiva, Lord Vishnu and Goddess Shakti in the four corners depicting different incarnations. Nearby Temples are Sri Adikesava Swamy Temple. It is a very old temple and contains mainly two shrines. The temple is in close proximity with Sri Bhimeswara Swamy Temple and Sri Nageswara Swamy Temple. 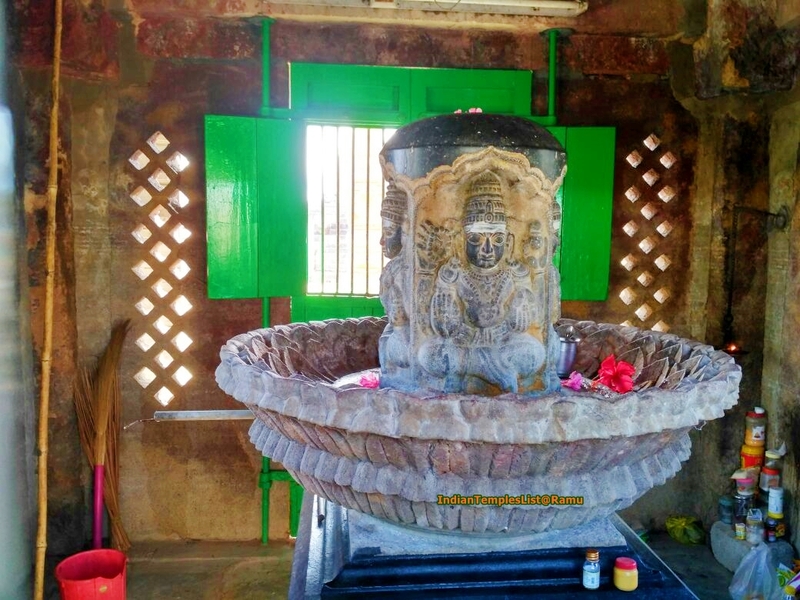 Sri Bhimeswara Swamy Temple was built during the Chalukya dynasty period and contains a huge Shiva Lingam. A beautiful Nandi statue carved out of a single red stone stands outside the temple. Chebrolu is at a distance of around 17 KM from the district head quarters Guntur city. This old pilgrim area belongs to Andhra region. Chebrolu was called as "Tambrapuri" during the Satavahana dynasty. The village is also called as "Chatturmukhapuram" and "Sambhole". Chebrolu is a small village and Mandal head quarter in Guntur district of Andhra Padesh state in India. Chebrolu was once a famous Buddhist site and served as the capital city of Kakatiya dynasty. Official language spoken at Chebrolu is Telugu. Maharishi Bhrigu once cursed Lord Brahma that no one will directly worship him in Kaliyuga. It is the reason you will notice Lord Brahma engraved on the four sides of Shiva Lingam in this sacred temple and is worshipped as Sri Chathurmukha Brahmalingeshwara Swamy instead of making a separate idol for him. The place also served as a popular regional Fort for the Pallava dynasty, Chalukyas and Kakatiya dynasty. 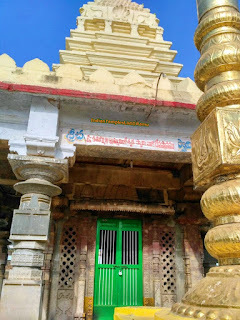 Brahmalingeshwara Swamy Temple was rebuilt by Sri Raja Vasireddy Venkatadri Nayudu (1783 - 1816) in the 19th century. He was the last King who ruled the present Krishna Guntur region until the arrival of the British in India. The Raja has restored many ancient temples at Chebrolu, Ponnuru, Amaravati and Mangalagiri. He also strengthened many other small temples in Chebrolu. Chebrolu is famous for four shrines namely: Nageshwara, Adikeshwara, Brahmalingeshwara and Bhimeshwara. Single stone carved Nandi statue. Ponnur is the nearest city to Chebrolu and has good road connectivity option. APSRTC operates frequent buses from all major cities to Chebrolu. The nearest airport is present at Vijayawada - VGA/Vijayawada Airport at Gannavaram. From there, one can easily reach Chebrolu by road. Good accommodation facility is available at the nearby cities like Guntur and Vijayawada. Please share your thoughts on Chathurmukha Brahma temple in the comments section. Don't forget to share this ancient Lord Brahma temple information with your friends. Temple looks beautiful but not maintained properly. Near to the Chaturmukha brahma image brooms etc. are kept.